The Copenhagen Jazz Festival this year (3th-12th of July) will see Søren Gemmer performing in new collaborations and at new venues. Newly formed group ‘Tully Boris III’ will perform three times at the festival. Tomasz Dabrowski (POL), Anders Vestergaard and SG will take their blend of heavy beats, abstract bop and the compositional signature of the leader to the stage at KoncertKirken, Studenterhuset and MellemRummet. The Søren Gemmer Quartet will perform in two editions, one fronted by trumpet player Mads La Cour and one by guitarist Per Møllehøj. Once again, SG, has arranged the minifestival ‘Jazz::Reconstructed 2015’ and the quartet with Mads La Cour will perform alongside groups lead by Kristian Marstal and Christian Balvig on Sunday, July 5th. Upholding a long tradition the quartet with Per Møllehøj will close the festival program at MellemRummet in Nørrebro on Sunday the 12th. Søren Gemmer will join forces with saxophone player and composer extraordinaire Thomas Agergaard at Sankt Markus Kirke (Church of Saint Mark) in Frederiksberg. The two will explore and expand upon the hymns of the Danish church in search of new sound and meaning. A long time dream of SG will hereby be fulfilled as in Thomas Agergaard has had towering presence as an ambitious and imaginative composer and player for decades in contemporary music. times deconstructing the pieces in search of new meaning. A line of sideman appearences completes the busy festival schedule. 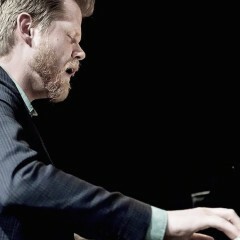 Modern jazz trio Reverse, the Gemmer-Estola Quartet, a newly formed trio lead by bass talent Anders Fjeldsted are operational during the festival.